Grocery List App CLIENT GBOT LAUNCHED 2014 Visit The Site HIGHLIGHTS * Co-designed and developed a mobile app in HTML5 / PhoneGap * Developed for Android and iOS * The app is designed to help shoppers manage grocery lists and compare prices. CLIENT PARTNERSHIP WITH ZOHAR GROUP & MICHAEL MORRIS LAUNCHED 2012-on [custom_button style="btn_large btn_type10" icon="icon-Link" target="_blank" href="http://scoopybags.com"]Visit The Site[/custom_button] HIGHLIGHTS * Developed a new consumer product with a plastic bag manufacturer (Zohar Group), and a new concept in pet clean-up bags: "Get a year's supply in just one box!". Shipped right to your door, Scoopy Bags offer the best value on the market, reducing the need to search for bags and travel to the stores. For a limited time, every purchase of a box includes a free Scoopy carrying pouch. * Brand identity, product packaging design, website, and logistics * Trade show booths at various pet events including Woofstock, Bark for Life and Purina Dog Walk. 'Official Poop Bag' at the 2013 Winter Woofstock sponsoring poop bag stands throughout the show. * Developed marketing partnerships with the Canadian Cancer Society's Bark for Life program, Talent Hounds (TV show on the Pet Network), GTAPets.com, Love4Dogs, BarkLoudly and many more. * Integrated marketing including a 'Pet Comics Contest' using Giant Step's ComicReply online contest platform - upload photos of your pet, add clip-art props, talking bubbles and post a 1-4 frame comics with your pet. 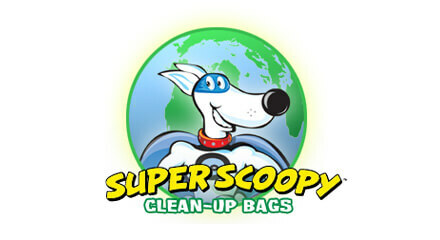 The most-voted comics each month win a free box of Super Scoopy clean-up bags (a year's supply in just one box). * Scoopy bags are also perfect to clean cat litter boxes and lock-in odors from baby diapers. 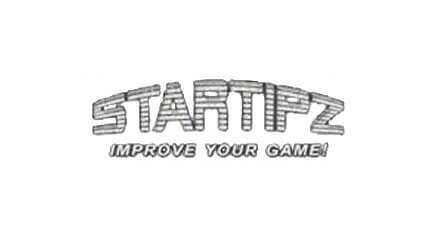 CLIENT STARTIPZ LAUNCHED 2004 HIGHLIGHTS * Pin-based affiliate promotions marketer * Pins in US/CDN trading cards + other products * Customers enter pin codes to view online content * Celebrity content include John Daly videos * Developed pin-allocation database system ABOUT THE PROJECT Startipz is an integrated marketing promotion vehicle, designed by Star Digital Media Inc. Affiliate promotional materials, such as trading cards, drink packaging and others, urge people to go to the Startipz web site and enter the pin number on the package to see free steaming videos of sports celebrities giving tips about their golf swing, batting, etc. Startipz uses their web site in various promotions around the United States and Canada, and needed support in the design and management of the pin allocation system. Giant Step designed a scale-able architecture for the allocation of pin numbers to each promotion. The system allows for the creation of new promotions of any size, which use pin numbers and apply them automatically for use in the Startipz web site for each particular promotion. Program Brochure & Website CLIENT NATIONAL DISCOUNT FUNDRAISERS LAUNCHED 2004 Visit The Site HIGHLIGHTS * Design of print ads and brochures to market fundraising products * Used to sell fundraising products to schools * Portion of sales supports SickKids Hospital / SickKids Foundation * Introduced Gogo's Crazy Bones as a potential fundraising product in schools. This resulted in Gogo's becoming a best-selling fundraising product and receiving the 'Parent Tested Parent Approved' award.